Final Fantasy XIII-2's next downloadable piece of content will feature Sazh in his own story as well as new mini-games to check out. 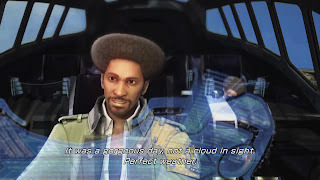 The story featuring Sazh will run parallel to the main campaign, and after you finish the content, Sazh will be available as a party member. Sazh: Head or Tails will be released on Xbox Live on February 28 and the PlayStation Network on February 29. The content will be priced at 400 MSP ($5).